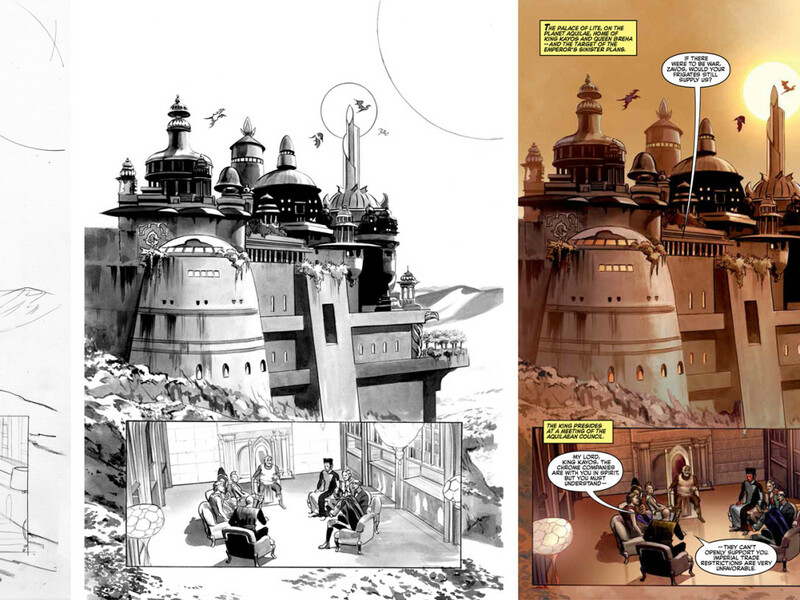 An Ed Natividad concept board depicting a Jedi assault on Theed from Episode I. 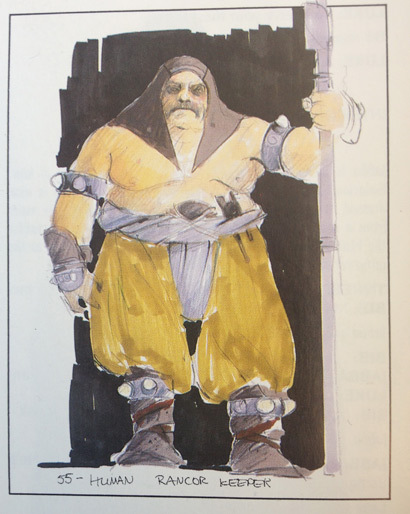 One department head once remarked to me that there weren’t any storyboards done for the Star Wars prequel trilogy. What he/she meant was that, in the traditional sense, animatics had replaced storyboards by the mid to late 1990s, at least at Lucasfilm, so there weren’t any Joe Johnston-style storyboards created for ILM. 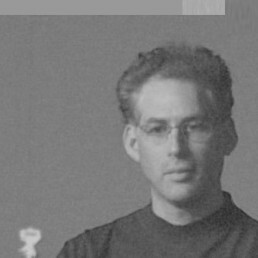 Instead CG animatics served as the basis for ILM’s photo-real digital shot production. 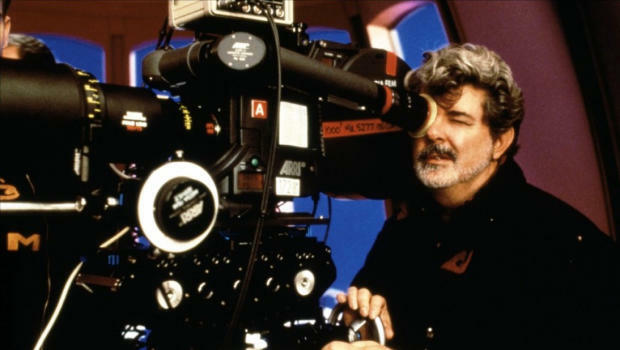 For the original trilogy, postproduction boards had acted as a guide for the camera crews working with actual models, miniatures, mattes, and so on, listing the elements needed for each shot, which would all be combined on the Optical printer, with a few exceptions. 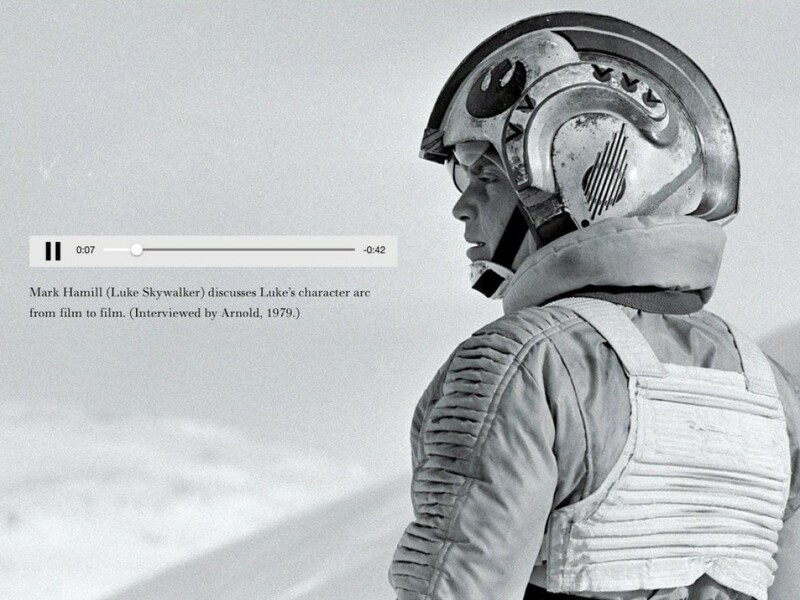 Those sorts of boards were effectively gone by the time Episode I rolled around. 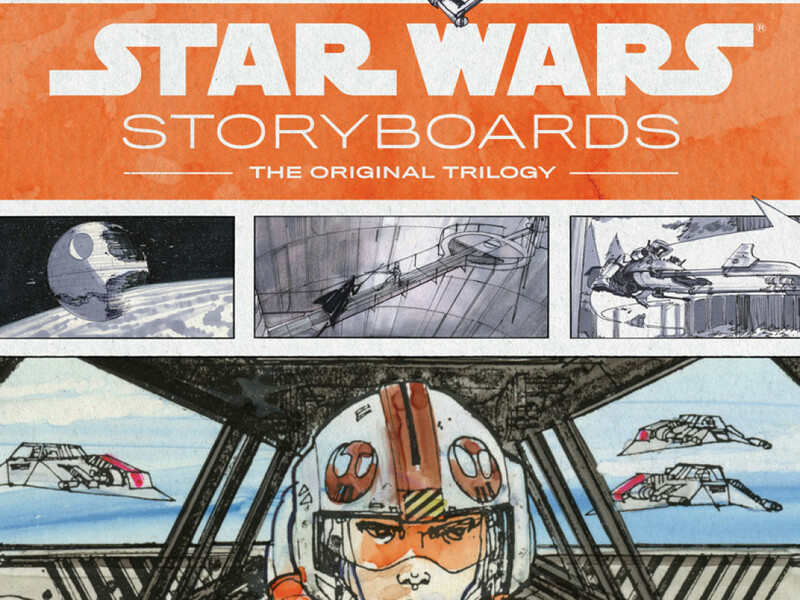 But what our newly announced book Star Wars Storyboards—The Prequels makes clear is that a whole lot of storyboards were created for the prequels (it’s scheduled for a spring 2013 publication from Abrams). 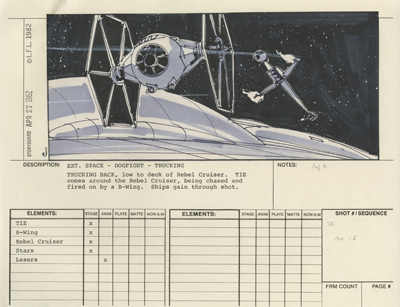 Traditional postproduction storyboard by Johnston, showing basic action, listing elements needed to create shot, for Return of the Jedi. Sometimes frame counts would also be listed and other info. Some of the boards predict closely final shots. 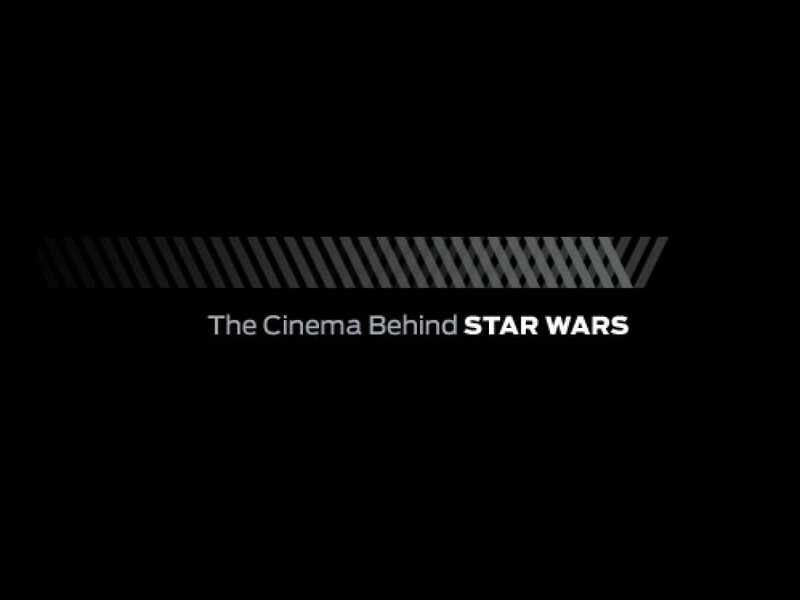 Some depict fantastic scenes that were never shot, such as a two-man Jedi assault on Theed, which would’ve come before the hangar battle in Episode I. 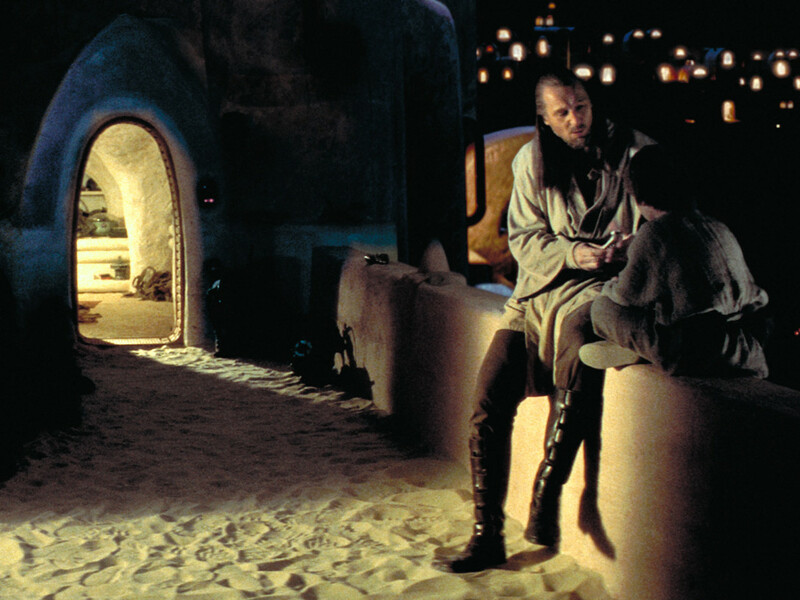 The Trade Federation, in other boards, can be seen oppressing the civilian population of Theed. 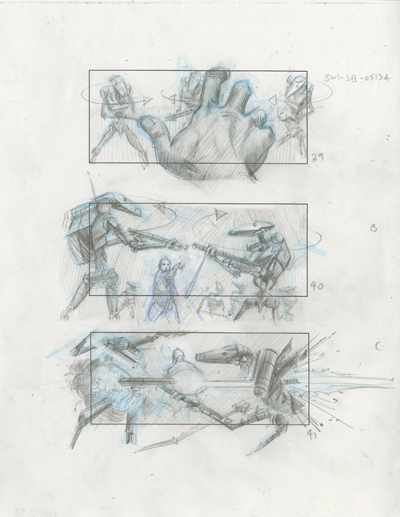 Obi vs. Fett is planned out in Episode II as is the first battle of the Clone Wars—and Episode III’s climactic duel was explored in a great series of boards by Thompson (only a few of which have been seen before). 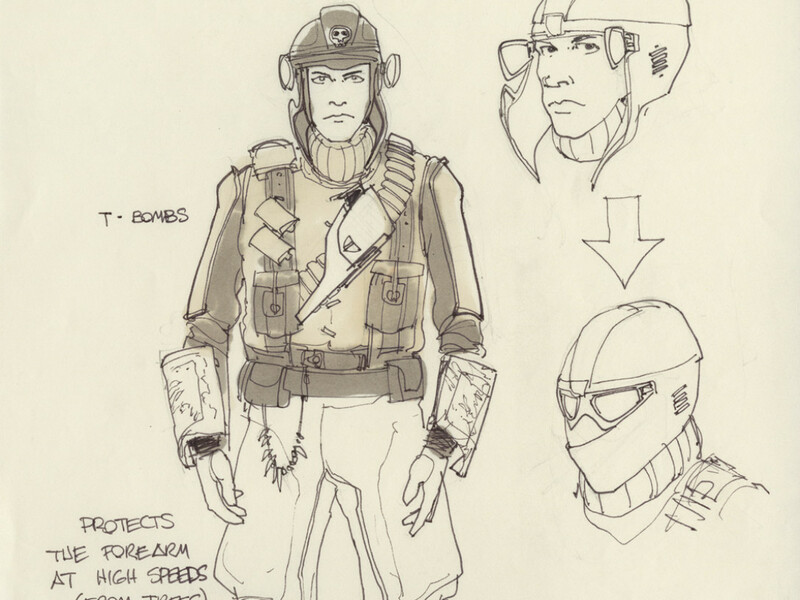 And good ol’ Joe Johnston, it should be noted, did a tremendous job of concept storyboards for the original trilogy (helped by Nilo Rodis-Jamero and George Jenson at times), in addition to his postproduction boards. In writing the Making of Jedi and recently finishing the book map, it was painful not including more of his great output. So I’ve included a couple here. And one from the upcoming prequel storyboard book. 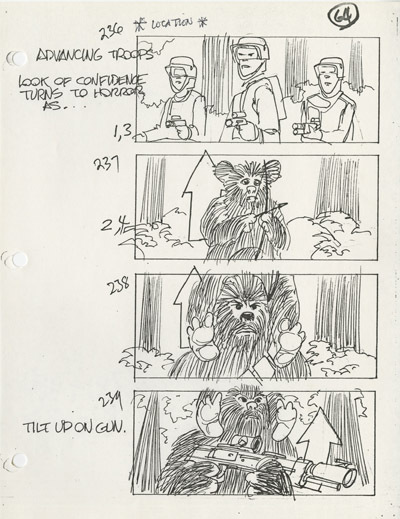 Concept board by Johnston of an Ewok battle gag that didn’t make it to the final film. Next time: Why Does Darth Vader Do My Laundry?